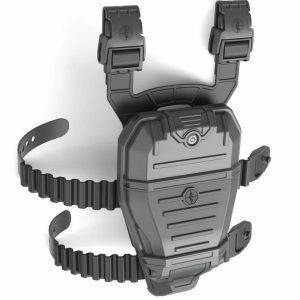 Outer: (10.8 x 9.9 x 4.9) in.Inner: (9.5 x 7.4 x 4.1) in. 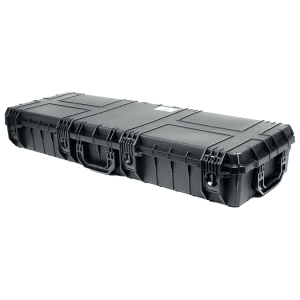 Outer: (13.6 x 10.7 x 6.3) in.Inner: (11.2 x 8.3 x 5.7) in. 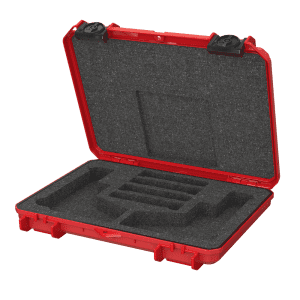 Outer: (14.9 x 12.1 x 9.6) in.Inner: (13.5 x 10.0 x 8.4) in. 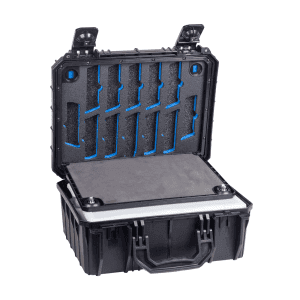 Outer: (17.5 x 14.2 x 7.5) in.Inner: (16.0 x 11.6 x 6.2) in. 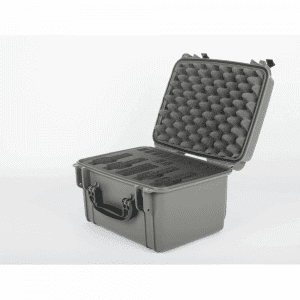 From multiple handgun cases for the range to custom foam to store your AR 15 Rifle, Seahorse offers a variety of gun cases to fit your needs. 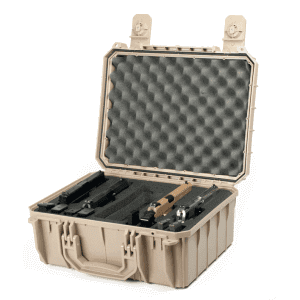 These hard cases are tough and meant to protect your guns in storage or transport. 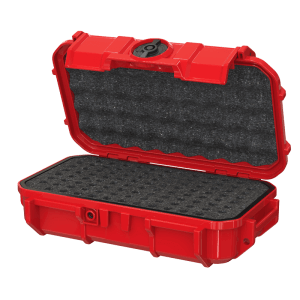 All cases are designed to be waterproof (IP67 or better), certified Mil Std 810F, either are airtight or have automatic pressure release valves to protect your contents from damage. 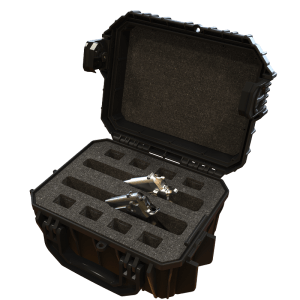 Cases have molded padlocks for your guns to be locked up using your own locks for safe keeping. 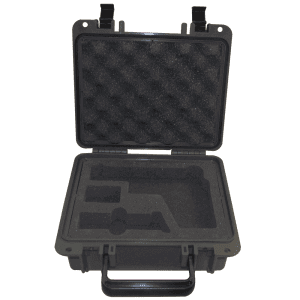 We offer safety latches, non corrosive plastic locks and chrome metal locks for our cases for added safety precautions.